Mike Strojny was born in 1946 in Maryland. He graduated from Duval High School in Lanham Seabrook, Maryland, in 1964, and from the University of Mississippi in Oxford, Mississippi, with a Bachelor's of Science degree in Business Administration in 1968. 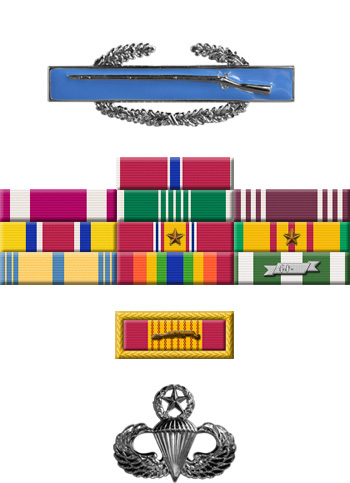 Strojny was commissioned a 2d Lt in the U.S. Army Reserve on November 12, 1968, and went on active duty beginning December 17, 1968. He completed the Signal Officer Basic Course, Airborne Training, and the Special Forces Officer Course before serving for a year in the Republic of Vietnam. Lt Strojny left active duty on August 27, 1971, and served in the Army Reserve until February 11, 1972, when he joined the Mississippi Army National Guard. 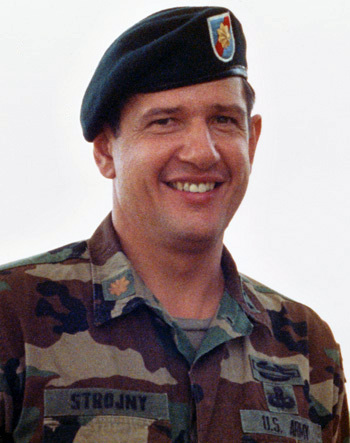 After over 26 years in uniform, Col Strojny retired from the Mississippi Army National Guard on March 9, 1995. After leaving active duty in 1971, Mike and his wife Jane started Strojny & Strojny Financial Services in Biloxi, Mississippi, in 1975. He also later received a Master's Degree in Education from the University of Southern Mississippi, taught school in the Biloxi Public School System, and earned his private pilot's license.